BIG-IP Virtual Edition (VE) is the industry-leading application delivery and security services platform. From intelligent L4-L7 load balancing, traffic management, and service offloading to application access, acceleration, and security, BIG-IP VE consistently ensures your applications are fast, available, and secure. BIG-IP VE modules are available in Good, Better, and Best (GBB) license bundles. The Good bundle contains the LTM module, which includes intelligent L4-L7 load balancing, SSL/TLS termination and offloading, health monitoring, connection state management, and programmatic control over application traffic with F5 iRules. Flexibility: Get the most versatile deployment options in the industry; implement additional BIG-IP services (like identity federation or WAF protection) when you need them. Agility: Quickly and efficiently add or remove application services, based on your requirements or usage spikes, with the option to use F5 tried and tested CloudFormation templates to deploy instances confidently. 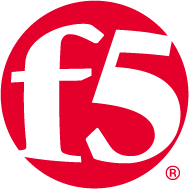 Consistency: With the same code and breadth of features as industry-leading F5 hardware products, rapidly provision the same intelligent services in the cloud that you use on-premises.